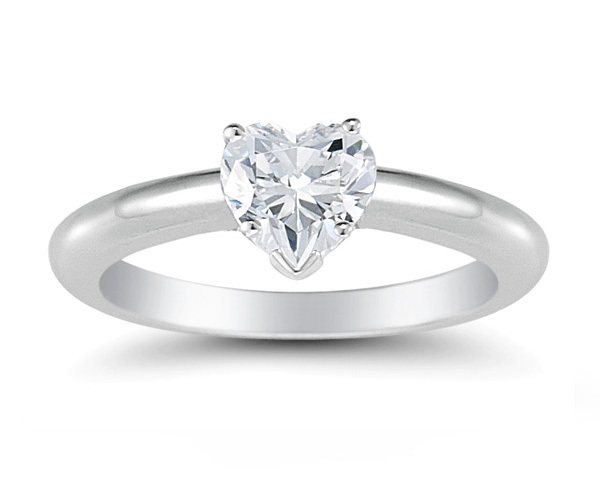 Capture her heart with our heart-shaped diamond ring, available in 1/2 Carat, 3/4 Carat, and 1 Carat sizes. Set with a high quality diamond in H Color, SI1 Clarity in 14K White Gold. Apples of Gold Jewelry guarantees the 3/4 Carat Heart Shaped Diamond Ring to be of high quality and an authentic engagement ring with real diamonds, as described above.